Create a sense of excitement and enthusiasm about solving technical development problems within cultural and social context. Work with EWB-HK to transfer appropriate technologies to the community. Encourage young generation to put the missions of EWB-HK into practice. Recruit members and volunteers in tertiary educational institution. Connect with student chapters of overseas EWBs. Cooperate with tertiary educational institutions to promote the works of EWB-HK. Cultivate the leadership and spontaneity of students. Participate in the activities organized by EWB-HK. 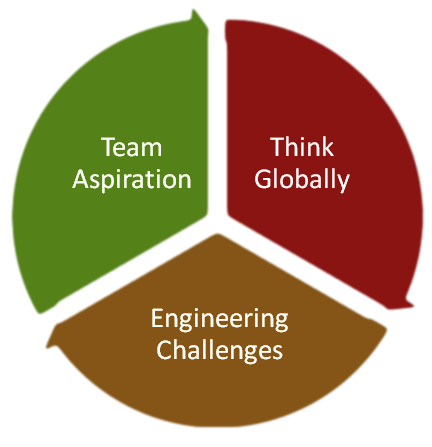 Promote practical application of engineering knowledge amongst students. Coordinate and review joint student chapter or partnering projects and activities. Provide guidance and mentoring support to Student Chapters to enrich their individual potential and team development. Develop relationships with faculties of tertiary educational institutions, professional and institutional partners. Assist in locating potential funding sources. Assist in strategic planning for YMG. Promote and spread the spirit and activities of YMG among institutions. Review and endorse the annual plans as proposed by student chapters. Endorse the annual appointment of student chapter’s committee. Provide chapter leadership and maintain a healthy chapter operation. Raise awareness of development issues among members and volunteers, as well as to offer the opportunities to solve technical problems for the communities in need. Foster cultural understanding and awareness among students. Provide training to students to become internationally responsible engineer. Help disadvantaged communities meet their basic needs. Offer supports to the projects activities and operation of EWB-HK, i.e. supports means involvement in promotion, front line assistance etc. Actively participate in the activities and projects organized by EWB-HK and YMG. We are now recruiting EWB-HK's Student Members, who can have priority to register and join our events and activities before open application. Please fill in the form here.